Hear about Graham's passions outside of work. Our Peerpoint Life stories showcase the ways in which our consultants spend their time outside of work. 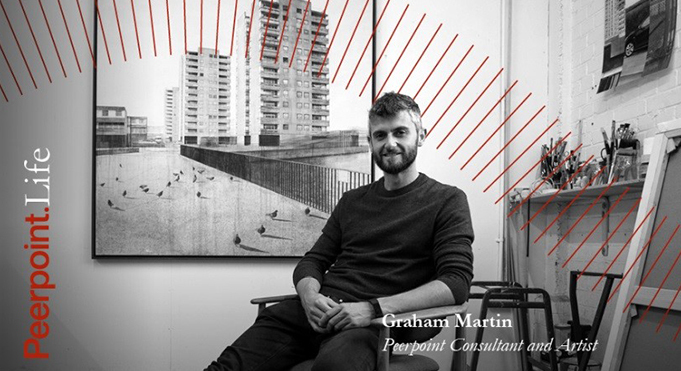 When Graham Martin joined the Peerpoint panel it was a way to continue developing his legal career while also pursuing a passion for painting, having studied at art school prior to his move into law. Graham is now on his fourth assignment, working on an in-house banking role within transactions. Proving that it is possible to develop a career at the same time as a passion, in 2018 Graham was selected the John Moores Painting Prize – the UK’s longest-established painting prize, whose past winners include David Hockney. Graham’s work was exhibited at the Walker Art Gallery in Liverpool from 14 July until the 18 November 2018. To view more of Graham’s work visit graham-martin.co.uk. To learn more about how you can balance your passions with a rewarding legal career by consulting with Peerpoint visit 'Join our panel' or contact us at info@peerpoint.com.